In the room pictured at the upper left is the philatelic sales counter in the Thimphu General Post Office. 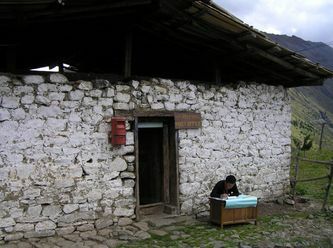 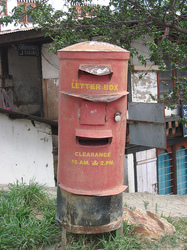 At upper center, where the mailbox is positioned higher than where the snow reaches in winter, is at Lingshi. The sign in the lower left photo hangs at the entrance to the post office at Wangdiphodrang, in central Bhutan. 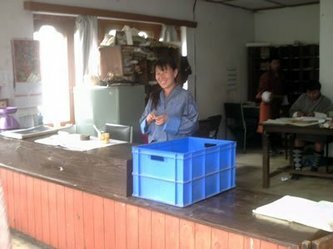 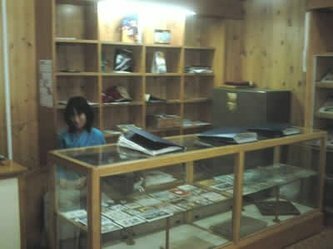 At lower right, you see the sales counter in the PO in Taschichho Dzong, Thimphu.